iWork Pages is a document type designed by Apple to content with Microsoft Office Word, but it is easier and more stylish to create files. And this is just the reason why and why Mac users get used to work with Pages. However, there are possibilities that we may leave a Pages document unsaved due to sudden power off or force quitting, or just accidentally delete a Pages document. Here, in this 3-minute guide, we will cover the solutions to recover unsaved pages document, recover deleted/lost pages document on mac, even help iPad users to recover pages document on their iPad, by using free tips or professional Data Recovery Software. How to Recover Unsaved Pages Document? How to Recover Deleted/Lost Pages Document? How to Recover Pages Document on iPad? To recover unsaved Pages document on mac, there are multiple solutions. But here we will start with a topic about “Can Users Recover Unsaved Pages Document with Time Machine”, then give the details steps on recovering unsaved Pages document without Time Machine. Can Users Recover Unsaved Pages Document with Time Machine? This depends on if you have backed up the folders in which you store the Pages document with Time Machine at the first beginning. If yes, it is possible; if not, Time Machine won't help. Mac users should be quite familiar with the MacOS utility---Time Machine, it is the program helping users to back up and restore deleted or lost files from backups. That’s to say, Time Machine only restores files when you have made the settings to back up files first. As you may notice, Time Machine is designed to recover deleted or lost file from backup, in the case to recover unsaved Page document, we don't need Time Machine at all, we have other techniques to restore Pages file that wasn’t saved. How to Recover Unsaved Pages Document without Time Machine? Without Time Machine, we still have 3 ways to find back the unsaved Pages document. Actually, Auto-save is a part of MacOS, allowing an app to auto save the document users are working on. When you are editing on a document, the changes are saved automatically, there will be no “Save” command appears. And the Auto-Save is super powerful, when changes are made, the auto saving take effects. So, basically, it is not likely to have a Pages document unsaved on mac. But if your Pages force quite or the mac is powered off in the process of your working, you will need to recover the unsaved Pages document. Step 1. Go to Find a Pages Document. Step 3. Now you will see all the Page documents that you leave opening or unsaved are opened. Choose the one you want to restore. Step 4. Optional. Also, all the different versions of your Pages document are saved, you can choose the preferred version and recover. Go to File>Revert to>Browse All Versions. Then choose your version and click “Restore”. Step 5. Go to File>Save. Tips: How to Turn On Auto-Save? Basically, auto-save is turned ON on all Mac, but maybe yours is turned off for some reason. To save your troubles on “Recover unsaved Pages document” in future days, here we recommend you to turn on the Auto-Save. Go to System Preferences>General, un-check the box before “Ask to keep changes when closing documents”. Then the Auto-save will be ON. If you have re-launched the Pages application, but it doesn’t open the unsaved files again, you will need to find the unsaved pages document in temporary folders. Step 1. Go to Finder>Applications>Utilities. Step 2. Find and run Terminal on your mac. Step 3. Input “open $TMPDIR” to Terminal, then press “Enter”. Step 4. Find the Pages document you didn’t save in the opened folder. Then open the document and save it. In the case you just create a new Pages document, you don’t have enough time to name the file before any problems happen, and hence have no idea where did you store the pages document, here is the solution to recover the untitled pages document that wasn’t saved. Step 1. Go to Finder>File>Find. Step 2. 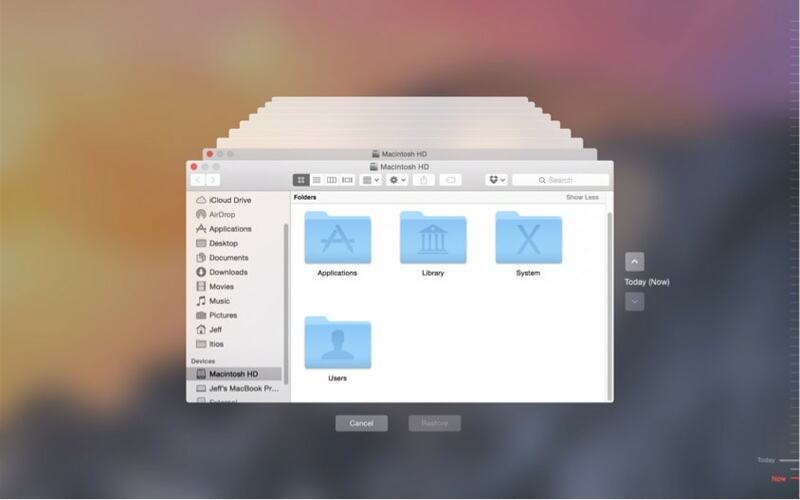 Choose “This Mac” and select file kind as “Document”. Step 3. Right click on the blank area of the toolbar marked in red box, choose “Date Modified” and “Kind” to arrange files. Then you will be able find your Pages document fast and easily. Step 4. Open the found Pages document and save it. Of course, when you open the unsaved Pages document, you can go to File>Revert to>Browse All Versions to recover your preferred unsaved Pages document. The methods to recover deleted/lost Pages document are quite different from those for recovering unsaved Page document. It may require a 3rd party program, such as Time Machine or other professional Data Recovery Software. This is an easy yet easily-overlooked way to recover a deleted Pages document. In fact, when we delete a document on the Mac, it is just moved to the Trash bin instead of being permanently deleted. For permanent deletion, we need go to Trash bin and delete manually. If you haven’t performed the step of “Delete Immediately” in the Trash bin, you can still recover the deleted Pages document. Step 1. Go to Trash Bin and find the deleted Pages document. Step 2. Right click on the Pages document, choose “Put Back”. Step 3. You will find the recovered Pages document appears in the originally saved folder. If you are the one get used to back up files with Time Machine, you are able to recover deleted Pages document with Time Machine. 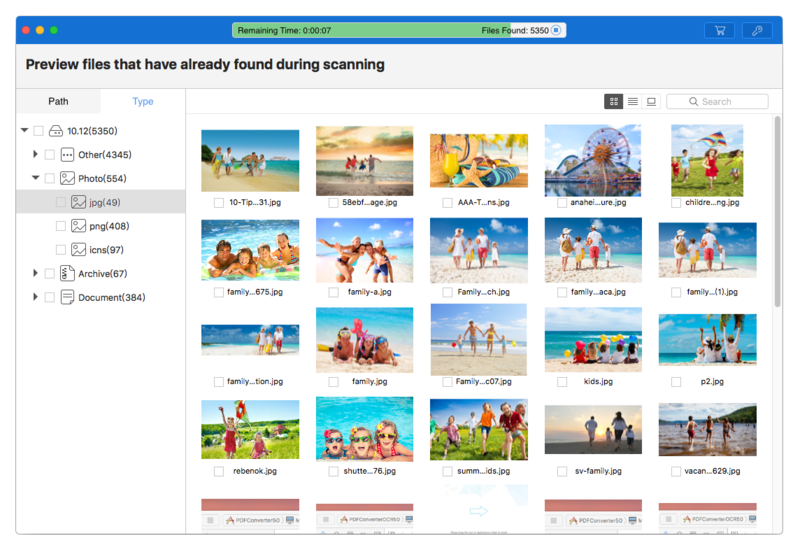 As we talked above, Time Machine is a program allowing users to back up their files onto an external hard drive and find the deleted or lost file back when files are gone or corrupted for some reason. Step 1. Click on the Apple icon and go to System Preferences. Step 2. Enter Time Machine. Step 3. Once you are in Time Machine, open the folder in which you store the Pages document. Step 4. Use the arrows and timeline to find your Pages document fast. Step 5. Once ready, click “Restore” to recover deleted Pages document with Time Machine. However, there are occasions we happen to permanently delete the Pages document, or we don't have any backups, even the files won't work when we recover from Trash bin or with Time Machine. Then, you will have to utilize a professional Data Recovery Program. 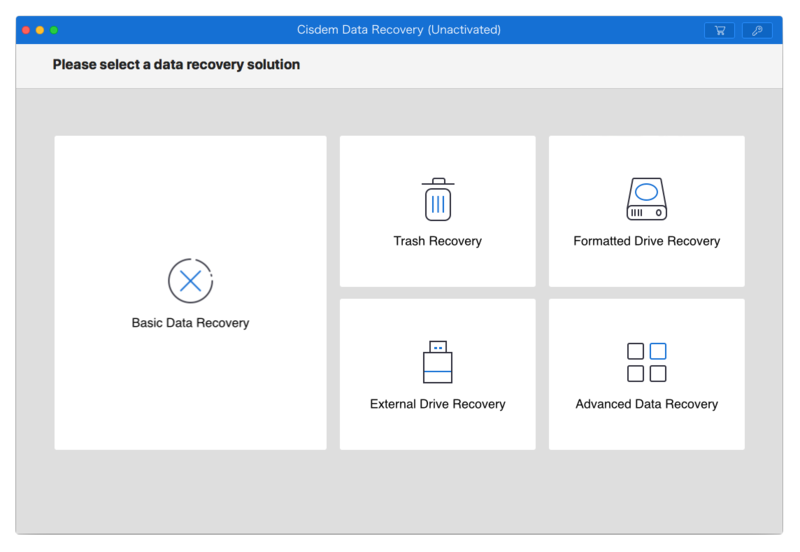 For mac users, we highly recommend Cisdem Data Recovery, it provides abundant features to recover deleted PowerPoint, Word, Excel and others fast, smartly and efficiently. Step 3Select the drive to recover your deleted Pages document. Step 4Preview the Pages document before recovery. Step 5Check the items you want to recover and click “Recover” to restore them. Very often, we edit and view Pages document on an iPad. It is extremely easy and convenient to work on iPad Pages when you need to share/send the file frequently. Step 1. Open Pages on iPad. Step 2. Tap “Documents” to check all your Pages documents. Step 3. Tap the link to see the “Location list”. Step 4. Tap “Recently Deleted”. Step 5. Tap “Select”, then you can tap one or multiple document to select them for recovery. Step 6. Tap “Recover” to get your Pages document back on iPad. To use this method, you need to make sure all your document are saved in iCloud Drive, otherwise, go to other methods. Step 3. Tap “Select”, then tap the Page document until a checkmark appears. Step 4. Tap “Versions” and select a previous version to select. Step 6. Choose a way to save the Pages document: save a copy, or replace by tapping Restore, or return to current version by tapping Close. Done. Step 1. Go to iCloud.com. Step 2. Input your Apple ID username and password. Step 4. Choose “Restore Files” under Advanced. Step 5. Click “Restore” to restore Pages document on iPad once you have selected the ones from deleted file list. In conclusion, no matter you want to recover Pages document on Mac or iPad, or no matter you want to recover unsaved or deleted Pages document, as long as you use the appropriate method, we are able to find them back. Also, we should always remember that, backup all your important files before your file are gone forever.